Dating – A new take on the old rules. Someone, some day loosely defined dating as the act of meeting a bunch of people until you find the one that is perfect for you. Over the years the game has changed pretty much and there is no single person that can know all the rules and regulations involved in going on a date and what should or should not happen afterwards. I use the word ‘rules’ very lightly as there are really no set guidelines, formulas or tricks to entrap the potential love of your life. Recent studies have shown that the average woman gets married at 27 compared to the 70’s where the average women got married at the age of 20 so surely something has changed. Yes! The way your parents used to go about it differs from how you might go about it in this year of 2016. With ever-changing social conventions and new technology there are really no set rules anymore when it comes to dating but a few tips has stood the test of time and still guarantees a successful and smooth dating-experience. So you have decided to get on up and into the daunting dating game. But, are you really prepared? Dating command that some effort be put into the whole experience. You need to know what it is that you want to achieve by going on dates and if you are ready for the commitment that might come after the date(s) being a success. You also need to be able to handle the rejection and move on (very fast) if everything doesn’t turn out too peachy. There is an ocean full of sea-creatures, you don’t have to settle for the first snoek that bites your hook. It doesn’t matter where you are going for your date, make sure that you look and smell (and taste, because you never know what else is served after dessert) good. You might not think so and it might sound a bit vain but in this scenario appearance is everything. Make sure that you dress appropriately, that your hair is tidy and that you smell great. By putting a little effort into what you are going to wear, maybe a manicure and a fresh new fragrance, you automatically feel good and more confident and your date will appreciate said effort. This is one of the main mediums that has changed the dating game. Because everything is so open and exposed when it comes to social media, be sure to talk about and share your thoughts on it when it comes to relationships. You might want to IG a picture of you with your date while your date hates being exposed in such a personal way. 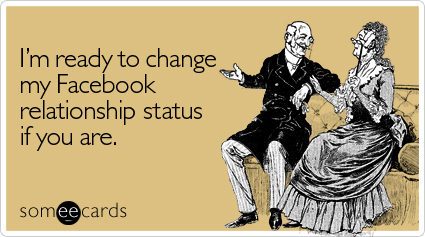 So before you check in on Facebook, make sure that you get your dates’ permission to tag them. It is OK to follow up after your date. How long after, you ask? Totally dependent on you! In this digital era with its vast platforms of communication there is absolutely no way that you won’t see a status update, tweet, get a DM, WhatsApp or even a phone call relating to how good the date was. Also, don’t make yourself too available. On the other hand if there is no form of contact, an appropriate turnaround-time would be ± 48 hours. Sad to say, but this would probably mean that someone is not interested. Move on! Dating websites are becoming increasingly popular and with these set of ‘rules’ you have nothing to lose. MisterCompare.co.za offers the best dating websites in South Africa and you are sure to find your soulmate by joining one of them.